MAINZ, Germany — A man wielding a knife injured eight people in Munich Saturday before fleeing the scene, police said. The suspect, described as a large unshaven 33-year-old man with light-brown hair, appeared to choose his victims at random, police said. Seven victims suffered stab wounds but none were believed to be serious. The eighth victim was injured by a punch. Seven of the eight victims were men; the youngest was a 12-year-old boy. Police later said they had made an arrest and that there was no further danger to the public. They added that there was no evidence to suggest the attack was terrorism-related. The motive for the attack remained unclear but investigators said the suspect — a German citizen known to officers for previous offences including assault and theft — may suffer from mental health issues. 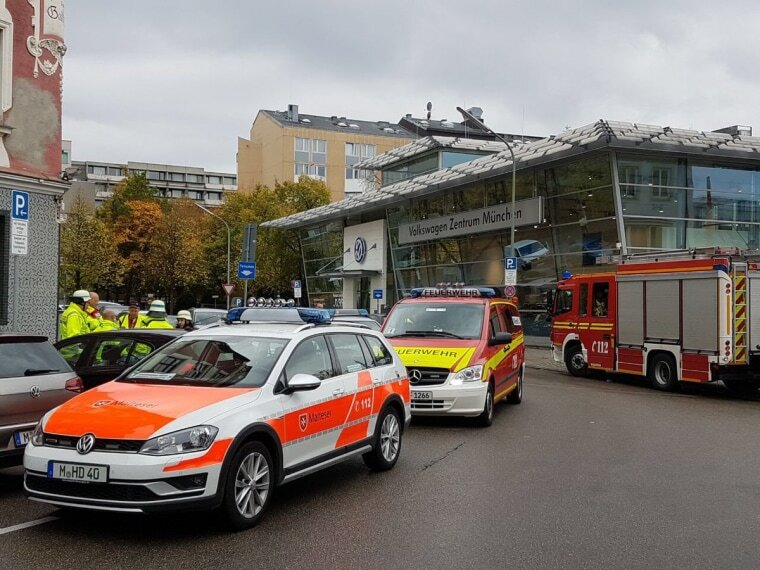 Emergency services were called to the scene in Rosenheimerplatz, central Munich, at around 8.30 a.m. local time (2.30 a.m. ET). The man was wearing a green jacket, grey trousers and was carrying a backpack and camping mat. He had a black bicycle, police said. Carlo Angerer reported from Mainz. Carolin Sri-Narayana and Saphora Smith reported from London.